From Hager's 'Design 10' range, the VML10606 offers 12 usable ways over two rows. 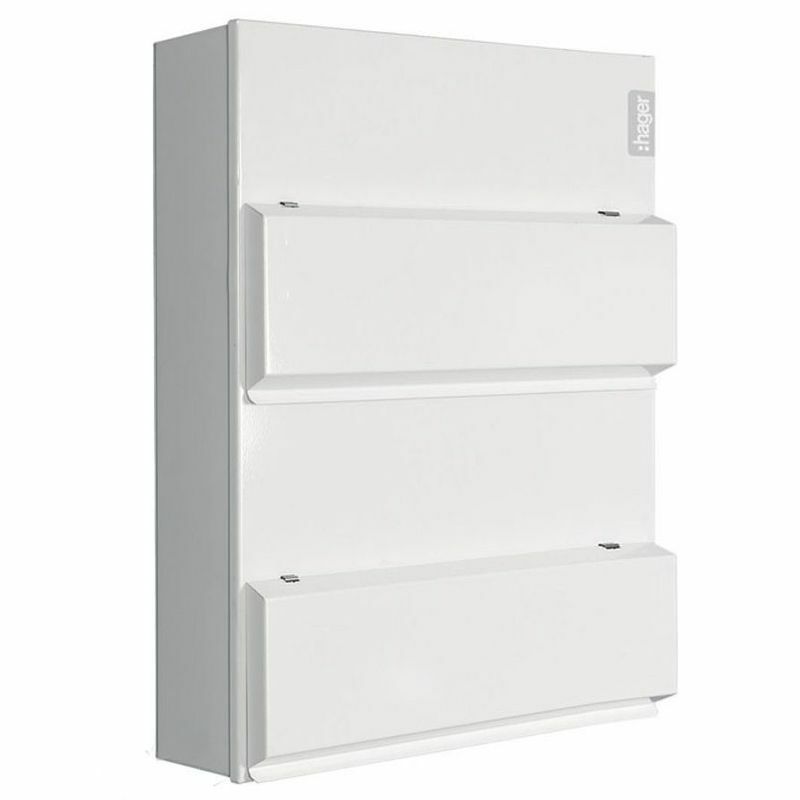 Known as a 'Duplex' or 'Stacked' consumer unit, all ways on both rows are protected by 1 x 100 amp main switch and all devices are connected to the same neutral bar. 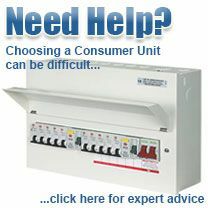 This means it can be populated by either RCBOs or RCD + MCBs and does not offer dual RCD configuration. If the installation requires the use of both RCBOs and MCBs or dual RCD you must use the VML766H or VML712CU.